Our products are so high quality that they became a spoken quality in Turkey and abroad. We produce our levels by forging from material 4140. You will never have broken level problem again. Everything is for our customers who deserve the optimum and best quality products. 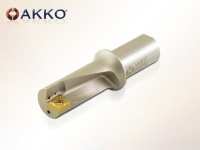 You may visit our website : www.akko.com.tr for more details. Company Name: Akko Makina Takim San. Tic. Ltd. Sti.